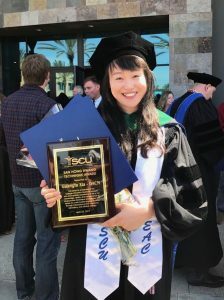 Congratulations to Daisy Xia – Daughter of our Qigong Masters Professor Song Xinhong and the late Professor Xia Shuangquan- on her graduation with a DACM from the Southern California University of Health Sciences. 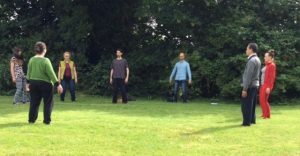 Professor Song is the Honorary Head of the Medical Qigong Department of the Irish College of TCM. 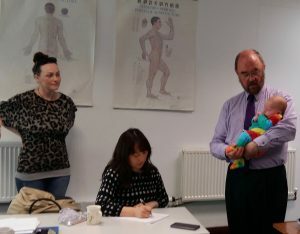 We first met her daughter Daisy in 2002 on one of our regular (one month every year) visits to Guangzhou University of Chinese Medicine, where we intensively studied Medical Qigong with Prof Song and Prof Xia. 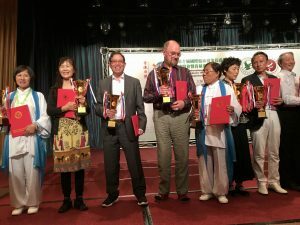 Daisy (Guangyu) was taught Qigong by her parents from an early age and, once she had become a university student in her home town of Guangzhou, she frequently assisted, and acted as the official translator, for the ICTCM Director and Registrar during Medical Qigong conferences which we attended in China. We are delighted that she has fulfilled her ambition to join the field of TCM as a professional and we wish her every success in the future.